Blanca Gordo received her bachelor’s degree in sociology in 1993 and master’s degree in urban planning from UC Los Angeles in 1996 and her doctorate in city and regional planning from UC Berkeley in 2005. She spent time as a dissertation research fellow at Mathematica Policy Research, the Public Policy Institute of California, and ICSI. She has worked to develop educational and community development programs, such as BFOIT, open-source software for community-based social agents, and easy-to-use interfaces for low technology production populations. She has extensive experience working with policymakers and community-based organizations (CBO) focused on education, health, and technology development. After graduating, she focused on HIV prevention and education in Oakland, where she applied her theory about strategic ways of integrating technology into the productive functions of CBOs and conducted applied research with African Americans, with funding from the U.S. Center for Disease Control and National Institutes of Health. She coordinated and helped design a voice and touch screen data collection tool for California Prevention and Education Project (CALPEP), Tell Mee. She also held a position at the Center for Latino Policy Research at UC Berkeley, where she directed public policy initiatives and program development and institutionalized the technology and development research group. She joined ICSI in 2011 to lead a research evaluation of a federally funded Broadband Technology Opportunities Program (BTOP) project administered by the Department of Commerce’ National Telecommunications and Information Administration (NTIA), the California Connects Program, administered by the Foundation for California Community Colleges, which worked to spread broadband adoption among California’s under-served and disconnected populations in community colleges, public schools, community-based organizations, and libraries (see digitalequality.net). She is also part of ICSI’s teaching privacy team of the Audio and Multimedia Group and the MetaNet project of the Artificial Intelligence Group. And she is a visiting scholar at the Institute for the Study of Societal Issues at UC Berkeley. 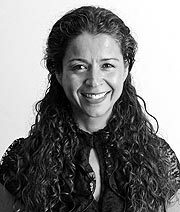 She has taught in the Department of City and Regional Planning and the Department of Ethnic Studies at UC Berkeley, as well as the Department of Sociology at the University of San Francisco and the Department of Mexican American Studies at San Jose State University. She has given her expertise to national and state institutions, foundations, corporations, and other non-profit organizations addressing the lack of technology adoption by the low income. Her research interests revolve around policy, poverty, inequality, technology, development, social-ethnic populations, organizational and community development, cognitive science, neural linguistics, and learning. She writes about the individual and systematic effects of being offline and the structure of potential community-level technology solutions under institutional transformation and social change.